New evidence which was published in 2004 cast doubt on the already dubious theory that sabre-toothed cats, mammoths, and other big North American mammals were driven to extinction by human hunting. 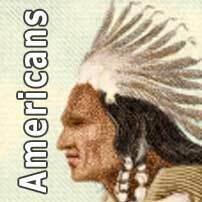 Genetic analysis of bison remains showed that their populations started to crash around 37,000 years ago - long before humans arrived in the New World, even given the disputed maximum 30,000 year limit for their first arrival. Researchers claimed that climate change and other factors were far more likely culprits in the extinction. An international team published its findings in Science magazine in 2004 in support of this. Until as recently as 20,000 years ago, North America had a range of large mammals to rival the wildlife of present-day Africa. 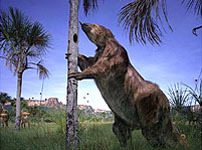 The continent was home to woolly mammoth and mastodon, horses, camels, giant ground sloths, and bear-sized beavers, as well as sabre-tooths. By about 10,000 years ago, most of these animals were gone. Some seventy North American species disappeared - three-quarters of them large mammals. This so-called 'megafaunal extinction' had been blamed by some on human hunters who appeared in North America around 12,000 years ago (and quite possibly earlier). But this latest research seriously questioned this old hypothesis. Scientists extracted mitochondrial DNA from 442 bison remains found in the US, including Alaska; and also in Canada, Siberia, and China. Mitochondrial DNA, of course, comes from the cell's 'powerhouses' and is inherited through the maternal line only. Some of the best-preserved material used in the study was unearthed from beneath the Alaskan permafrost by gold miners, some of whom even kept the remains refrigerated until the scientists came to claim them. Scientists always stand a much better chance of extracting useful DNA sequences from such frozen remains. From this ancient genetic material, Alan Cooper at the University of Oxford, UK, and colleagues were able to reconstruct a genetic history of bison over a period of around 150,000 years. Co-author of the study, Dr Beth Shapiro, also at Oxford, stated that when people try to reconstruct processes that happened in the past, they devise models based on the genetics of modern populations and extrapolate backwards in time. But because ancient DNA had been extracted from the specimens, slices of time could be looked at and the genetic diversity of that population could be viewed. Using mathematical analysis, the researchers were able to extract information about bison population size through time. During the late Pleistocene and Holocene epochs, bison roamed across a territory called Beringia, an ice-free refuge which stretched from eastern Siberia to the north-west of Canada. Until around 37,000 years ago, there was a large, diverse population living in Beringia. But after this date, the population's genetic diversity began to decline dramatically. 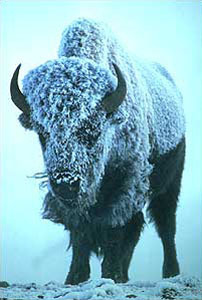 The fall in numbers coincided with a warm period in which the steppe tundra inhabited by bison was covered by forest. Such forest may have acted as a barrier to bison dispersal and would have provided few sources of food. This warm period was followed by further cold, arid conditions. Some component of these ecological changes may have been sufficient to stress bison populations across Beringia. But John Alroy, a palaeobiologist at the University of California, Santa Barbara, thought that the interpretation could be overblown and perhaps was not supported by the data. He pointed out that, in other areas, bison managed to shrug off dramatic shifts in climate. Although the pendulum was clearly swinging away from humans being to blame for the megafaunal extinction, more evidence would be needed. 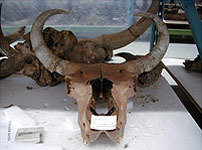 The results also showed that modern bison are distinct from ancient Beringian bison. They are descended from bison which spread southwards through an ice-free corridor from Beringia perhaps as early as 100,000 years ago.